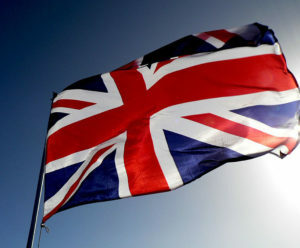 The Union Jack, the national flag of the United Kingdom. Photo: Vaughan Leiberum. Source: Wikimedia Commons. In 1989, while working for the British glossy magazine Harper’s & Queen, I was called to a meeting at which the staff was told that the year’s autumn issues would tell stories of the world’s three great superpowers. September was to spotlight women of the United Kingdom; October, women of the United States; and November, women of the Soviet Union. I looked around the room to see how others were responding to this proposal, which I presumed to be tongue-in-cheek, but no one was laughing. The memo about the loss of empire had apparently not yet been circulated in London. The three issues went forward as planned. I found the collective delusion startling even then. I became a dual national a few years later out of love for Britain. I voted Remain in last week’s referendum, having never entirely shaken my discomfort with England’s persistent nostalgia for the glory days of the subjugating Raj. The British rejected the euro at the beginning of the millennium largely for good reasons, but some popular rhetoric at the time reflected the bullishness that resurfaced in the lead-up to the Brexit vote. It avowed that Britain would never bow down to others, and seemed more appropriate to the campaigns against William the Conqueror, Napoleon, Hitler, and even the Argentine aggressors in the Falklands than to a complex agreement involving non-hostile neighbors. Adjusting to the loss of power is never easy. We see evidence of this in popular Russian support for the post-Soviet government’s various aggressions, predicated on a collective wish to reclaim lost ascendancy. We see it in the internecine battles of the Caucasus or Southeast Asia, where people regularly claim a natural right to the most expansive borders their countries or ethnic groups ever achieved. Britain once vanquished half the world, and the adjustment to being a country at the second rank of power has always rankled insofar as it has been acknowledged at all. The Leave campaign exploited a Putinesque wish to reassert a bygone swagger. It was a revolution against being perceived as quaint as much as it was against open immigration and burdensome regulations. Having lost its own empire some time ago, England refused to participate in what many U.K. nationals came to see as someone else’s. But Leave involved giving up not only being influenced but also influencing. It was, ironically, a vote for lost dominion that relinquishes yet more power. Leave involved giving up not only being influenced but also influencing. It was, ironically, a vote for lost dominion that relinquishes yet more power. The potential loss of jobs to Poles and Hungarians who are also E.U. citizens but will accept lower pay is an authentic challenge for working-class Britons. The notion that walling out immigrants from within or beyond Europe’s borders will return the country to a prelapsarian state, in which human labor will once more be the center of a brisk economy, is fantastical. It recalls the Luddite spirit that led to the presumed arson at Albion Mills, in 1791, when angry millers attacked the automation that might leave them unemployed, then salted their outrage with accusations that the mill’s owners were adulterating their product with imported flour. Reading The Chronicles of Narnia to my children, I am struck by the nearly hallucinatory exposition of traditional English ways and countryside as Edenic, and of everything modernizing or foreign as anathema. British identity has become fragile since the loss of empire, and bucking it up requires a constant proclamation of self-sufficiency. Though London is among the world’s most cosmopolitan cities, restaurant reviews there often show disdain for places frequented by foreigners, and British academic institutions still cast an amused eye on American literature and continental philosophy. It is an ostrich point of view not wholly unfamiliar in America: by refusing to look at the rest of the globe, one forestalls seeing oneself. The growing worldwide aversion to unifying bodies such as the E.U. is based on tribalism, and tribalism draws on the perception of likeness. Those who voted Leave believe that they are like others of their nationality and unlike everyone else. Nativist arguments about sovereignty play to the perception of common ground where there is very little—and to disaffection where real sympathies may lie. The notion that those middle-aged and older, working-class English who voted Leave have more in common with privileged Englishmen than with middle-aged and older, working-class Spaniards is problematic. And yet fellowship with other disadvantaged people across Europe has been forsaken for allegiance to a nation riven with inequalities. It is an archaic, ethnic notion of collectivity that shares ground with racism. Within the E.U., Britain had not merely supported Portuguese fishermen and Latvian farmers; it has also reaped the economic and social benefit of commonality. Cornwall, which voted solidly for Leave, has already demanded British government “protection” to compensate for loss of the massive E.U. funding on which it has depended for many years. The disconnect is profound. The relationship between Anglo-Saxon voters who believe they have been disenfranchised and the Anglo-Saxon leaders who will rule them without European supervision seems no more beneficially symbiotic than the relationship between such voters and the technocrats in Brussels. In snubbing both the government they elected and the opposition, Leave voters manifested disdain for the political process entirely. Britain’s rigid class system has always bred resentments, and the political establishment’s proffering of data seemed like a haughty rejoinder to the Leavers’ invigorating slogans. These days, skill in governance is not seen as a qualification to govern. Fragile national identity gives way to nationalism; so, across history, authority gives way to authoritarianism. Internationalism is not a charity program designed to save the unwashed hordes abroad; it is a pragmatic recognition that the fate of nations is intertwined, and that exclusion often hurts those who are excluding as much as those who are excluded. The Leave voters in many instances believed that the Remainers were out to build global interests at the expense of their fellow citizens. Many felt that they had reason to be embittered and little cause to attend to others’ privations when their own needs weigh so heavily on them. But internationalism is not a charity program designed to save the unwashed hordes abroad; it is a pragmatic recognition that the fate of nations is intertwined, and that exclusion often hurts those who are excluding as much as those who are excluded. There will be no resolution to the tensions that manifested last week so long as citizens feel they must pick a single identity. If U.K. nationals have to choose between being British and being European, being British will win. But if identity politics have taught us nothing else they have given us the vocabulary of intersectionality — that you can be, for example, African-American and queer; or Deaf and autistic; or poor, white, and feminist. Britain, more recently multicultural than the United States, is lagging on this concept, but the principle is taking a tragic beating in America as well. The ability to tolerate and even celebrate coinciding identities is one of the hallmarks of sophistication; the absence of that ability is a mark of desolation. Helen Keller said, “Alone we can do so little; together we can do so much.” There is a centrifugal process under way in which alliance and coöperation altogether have become suspect, and quarantine is mistaken for safety. It is as though coöperation were an indignity. Britain’s withdrawal from the E.U., like Donald Trump’s proposal to build a wall between the U.S. and Mexico, is based on a false belief in self-reliance. England’s favorite hymn, “Jerusalem,” sets these lines by William Blake: “I will not cease from Mental Fight, / Nor shall my Sword sleep in my hand: / Till we have built Jerusalem, / In England’s green & pleasant Land.” That imagined paradise is not achievable through isolationism. We are none of us entirely independent. That may be dispiriting to those who perceive their identity to be tenuous, but pretending otherwise is counterproductive. Twenty miles of water does not sever England from the proximate continent, no matter what the Brexit vote appears to signify. In the global world, as England is already beginning to discover, the United Kingdom is not a superpower—and no island is an island, entire of itself.